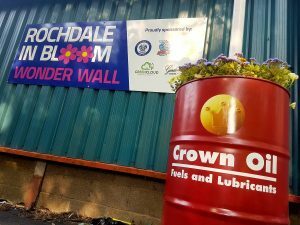 This summer, volunteers from across the borough have joined forces to transform the haggard structure on Sandy Lane into what is once again, a remarkable “Wonder Wall” at our Crown Oil Arena in Rochdale. 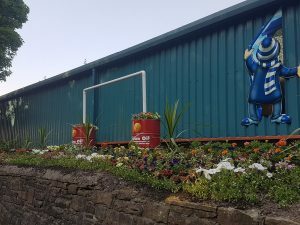 Gordon Riggs Garden Centre and Crown Oil are amongst hundreds of families who have donated flowers and their free time to plant the budding oasis. The Wonder Wall now spans 70meters long and features over 8000 plants. 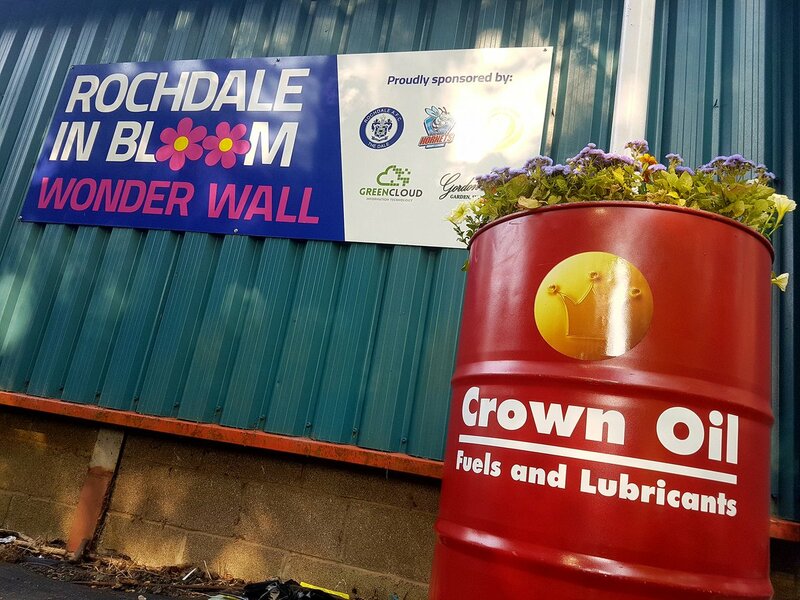 With a 5 year sponsorship with Rochdale AFC, we love getting involved in events across the community and the Wonder Wall has brought us even closer together. The beauty is turning heads and having already won the In Bloom, Best New Feature category in 2017, we are confident the project is a strong contender again this year. This year’s theme is focused around football and features our very own Crown Oil goalposts which showcases our huge achievement of reaching the semi-finals this World Cup. We would like to thank everyone who has been involved with the project, with a huge congrats to GC Education and Skills for their dedication and hard work.